5 Key Characteristics of Successful Teams and How to Implement Them. | What's Your Edge? Here are some practical ways to implement each. Dependability, accountability, competence, reliability these words all relate to building trust. A culture of trust can do remarkable things for an organisation. Research has shown people who trust each other are more productive, feel a higher degree of loyalty to their team and organisation, and are also known to give outstanding service. How can you create a culture of dependability? Giving up looking good and seek clarification on what is expected of you. When it comes to developing workplace synergy, defining the right core values for your business is one of the best ways to bring your team together and keep them on track. When it comes to setting guiding principles for your organisation, it is important to align your personal values with the values of your company, and its culture for success. To do this, your purpose needs to be clear and you need to articulate how your values are actionable on a daily basis. With your leaders, we recommend that you spend time articulating what behaviours underpin each value. Start each behaviour with “I am…” or “We are…” to focus on ownership. You also need to understand your team and their needs. When leaders and teams listen, really listen, using empathy to comprehend what each individual is thinking or feeling without attempting to change or fix them or solve the problem, the person feels appreciated as a human being; they feel valued. And this is the space where trust and highly effective teams evolve – effective teams with a shared purpose. This relates to the importance of work having personal significance to each member. It gives people their purpose. After safety and belonging, purpose according to Daniel Coyle in his book Culture Code is what we need to build a Success Culture. 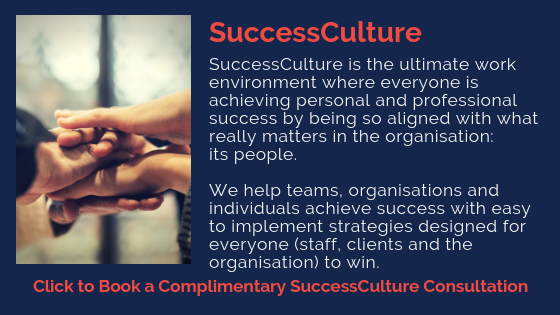 Cultural and business success comes hand in hand when you focus your business on the needs of your people, from customers and employees to suppliers, shareholders and the wider community. Your team is full of people who want to be valued, who want to feel like they are contributing, and that they are great contributors to the business, as well as other people’s successes. They are people who need to feel like they are part of something, that they matter and belong. Getting connected with your team and them with each other is the first step to achieving this. This is what we call developing Team Intelligence. 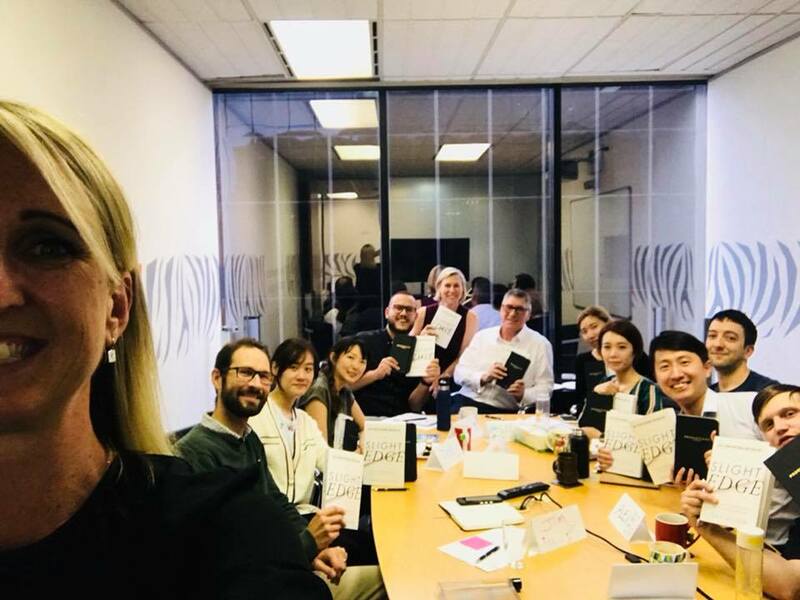 When a team is at the ultimate level of Team Intelligence, they’re working to achieve better results as a cohesive unit through championing each other and winning – together in their success culture. This relates to the value placed on working for the greater good. There’s a lot to be said about how we contribute to an organisation, but sadly, it’s often not communicated. However, teams who understand and appreciate the value of each other’s role have a better chance of success in their working relationships. What’s more, people like to feel like they are contributing; that their function makes a difference – and making a difference is one of the greatest human motivators. Research shows that much of human behaviour, thoughts and emotion stems from our psychological need to belong. For some, belonging and attachment to co-workers is a greater motivator than money. Read more about getting your team to work together intelligently to maximise performance, outcomes and standards of work by maximising the quality of working lives both individually and as a collective. Psychological safety is the most important factor contributing to a team’s effectiveness according to Google’s research on what makes a perfect team. Or in other words…a shared belief by team members they can trust their working environment. Nearly 7 in 10 respondents say that building trust is the No. 1 job for CEOs, ahead of high-quality products and services. Trust sits with individuals, not institutions. Specifically to Australia: ‘In 2018, trust in Australia continues to decline across all four key institutions: media, business, government and NGOs. This has resulted with Australia sitting just four percentage points above the world’s least trusting country, Russia. You can build a SuccessCulture of trust in the workplace – and again genuine connection with those who make up your organisation is the key. Read this extensive article on trust. Want to create a SuccessCulture based on Google’s 5 traits of successful in teams? Match each with the goal of achieving Team Intelligence. Develop your Team Intelligence. I can help.